Write how any two out of A, B and C are significant in the above figure. 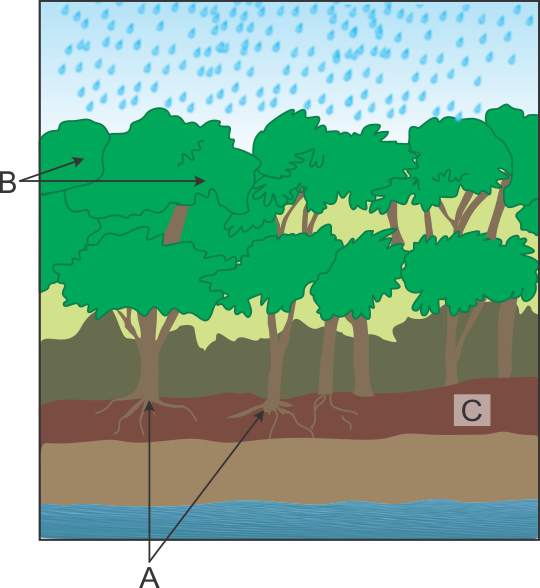 B- The closed canopy and many layers of vegetation slows down the speed of raindrops. C- Covered ground with decaying material acts like a sponge.